The end of 2017 is an exciting time for the fans of John Williams as there are not one but two films that recently came out graced by his music. 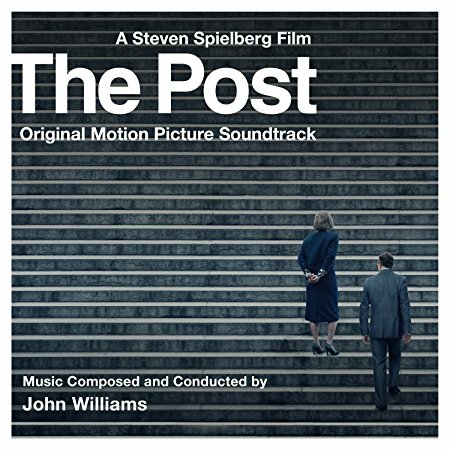 The first of these is The Post, the 28th collaboration between the director Steven Spielberg and John Williams, and the other The Last Jedi, the 8th film in the Star Wars saga. 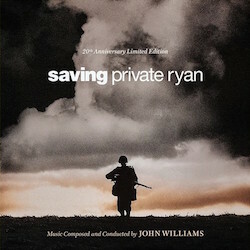 However, the two films and scores couldn’t be more different: The Post is a relatively low-key historical political thriller with a score to match and The Last Jedi with music of grand Romantic orchestral tradition full of larger than life emotion and colours where no effort is spared to ramp up the drama. And while The Post had a limited release on 22nd of December 2017 in the US and the soundtrack album became available as a digital download on the same day, the actual CD will be released later on January 12th 2018 on the Sony Masterworks label. The story of The Post dramatizes a historical event: the leak and the subsequent fight to get published the so-called Pentagon Papers by the Washington Post and New York Times in 1971 during the Nixon administration, which revealed the full extent of the government involvement in Vietnam’s political situation from 1940’s to the late 1960’s. The movie features several strong dramatic performances and boasts an impressive cast including Meryl Streep, Tom Hanks and Bob Odenkirk to name a few, and has already climbed on several ”best of the year” lists. Composer John Williams, who is no stranger to musically accompanying historical dramas, and having previously scored films like the suspenseful, atmospheric and elegiac JFK and the intrigue and darkness-laden presidential portrait Nixon, responded to this particular piece of American history with music that actually feels very similar to the above mentioned scores, though with a blend of minimalistic suspense and warm reassuring Americana tones – and this time it feels like the music is also coloured through the lens of modern film scoring trends and sensibilities. The score for The Post, much like Williams music for Spielberg’s 2012 film Lincoln, is for the most part a subtle one, almost shy of exhibiting too much pathos or emotional pull to distract from the performances in this dialogue heavy drama or overemphasizing emotion so as not to seem too manipulative or cloying. But while Lincoln still displayed the composer’s melodic dramatic sense at every turn with numerous themes related to the president, in The Post the music is down-scaled considerably in this department and revolves mostly around rhythms and subtle musical momentum building techniques to underscore key turns in the story while elsewhere drawing into the background with a few discrete chords providing a suitable atmosphere. The Post might be one of the shortest scores in the famous director/composer collaboration and this is reflected on the soundtrack album which clocks at just 40 minutes. But let’s take a look at the actual music on this disc. Suspsense and tension are the operative words for most of the music on the soundtrack and the composer answers with subtle but nuanced orchestral writing that at times sounds actually quite modern for his playbook, but in all fairness it has to be admitted that his familiar musical techniques of evoking suspense and foreboding from his 2000’s writing are very much evident here. The album opening The Papers is a good example of this blend as it starts with a ticking electronic synth pulse idea that slowly gathers orchestral voices around it, the conspiratorial husky flutes, vibes, strings and dark horns gradually voicing a recurring motific ostinato idea before another electric bass and percussion rhythm continues to bolster the low burning sense of intrigue while accompanied by nervous cyclical string figures. This is a surprisingly modern approach from the composer, akin to some of his work on Munich but even closer to the prevalent modern film scoring trends and very effective in establishing the skulduggery mood of the whole piece. From the other end of the dynamic spectrum comes the following The Presses Roll which is perhaps the most extrovert track on the entire disc. This excellent dramatic piece underscores one of the final scenes in the film and features what could be called the main theme or motif of the whole score supported constantly by the energetic cyclical dotted ostinati string figures, woodwinds and determined nearly triumphant brass climaxing powerfully and optimistically around minute-and-a-half mark. After a brief horn respite the track again gathers steam and proceeds in a series of rhythmically marching staccato string ostinati figures that reach a forceful peak and the track closes with a reassuring noble Americana strings and horns swell. This is a great example of a musical miniature with a perfect self-contained musical arc to it and it is the definite highlight of the album. Slow and low burning tension is exemplified by the moody Nixon’s Orders where the main theme is hinted at by the horn melody wafting around in an bed of foreboding celli and bass chords. 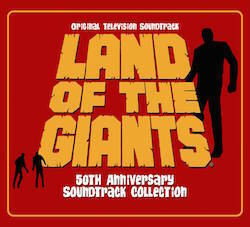 It is sparse and economic, music that was clearly written to stay out of the way and enhancing the mood of the scene. Setting the Type takes more of a dramatic stance and reprises the rhythmically charged forceful woodwind and string figures from the ending half of the Presses Roll in urgent and determined tones, blending tension and pure momentum in equal measure. Scanning the Papers explores both the fateful main theme and the initial ostinato motif heard in The Presses Roll as smoky woodwinds exude both intrigue and danger while motoric light strings again provide slight forward thrust to the whole affair. It is all quite subtle, economic and even elegant scoring but again seems clearly to follow the creed of function over listenability. Almost as a curious aside Williams presents two source pieces on the soundtrack album, The Oakroom, 1971 and Two Martini Lunch, both breezy lounge jazz compositions for piano and bass, that offer more than anything some variety and lighter touch to the mostly tense underscore. Another track to offer something different is Mother and Daughter that gives the listener a rare moment of warmth where Williams develops a simple honest sounding halting Americana piano melody that is taken up by flute and strings that follows the suit of the composer’s soothing string and piano writing of 2000’s and but unfortunately doesn’t have time to make much of an impact. The longest piece on the album outside the finale, Deciding to Publish begins with an air of danger as cold strings and rambling piano notes quietly ramp up the tension until yet another new ominous ostinato motif appears which is then explored until the end of the track in various guises but the piece never rises above a gentle suspenseful whisper and unfortunately feels somewhat choppy in its start-and-stop style. 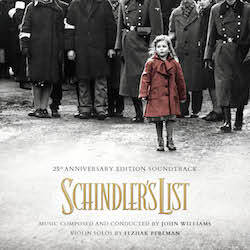 Everything comes to a summation in the 11-minute The Court’s Decision and End Credits where Williams reprises all the major elements of the score and is finally allowed to unfetter himself a bit and bring some emotional warmth and resolution to the music. 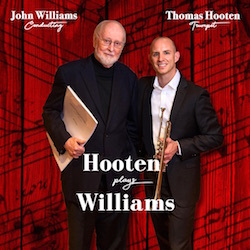 He immediately opens with his patented Americana writing for brass and strings and his new solemn hymn-like theme is further developed throughout with gentle piano and stately brass section making notable contributions. More interesting is the sudden appearance of rumbling deep piano chords that initiate another stormy churning ostinato-motif that gathers strength and density spiked with powerful brass and timpani hits before growing to a rousing resolution not unlike some of Williams’ music for the NBC news, and after a reprisal of the dynamic Presses Roll theme, the score comes to a close peacefully in a piano, strings and horn rendition of the redemptive Americana theme to signal a happy conclusion to the proceedings. 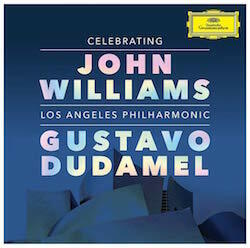 Despite the more open emotional quality of the writing here, the composer is still clearly holding back, the music being respectful, very familiar stately Americana we have heard many times before and it has to be said that the denouement could have been emotionally sharper as now the most interesting material in this suite are the energetic ostinati motifs. The Post is a somewhat difficult to score to assess. 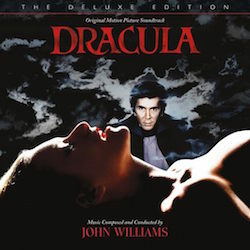 All film scores are written to serve the film and their first and foremost function is to support the narrative, and on the other hand this music undoubtedly does so with discreet and subtle touch that is effective in evoking the feelings of foreboding, tense mood and suspenseful drive. It is music that tries very hard to stay out the limelight and only interject at key moments in the narrative to add that extra lift only a film score can provide. 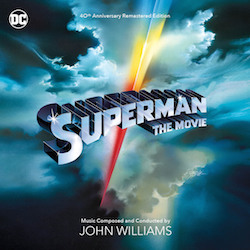 The music is as classy as one would expect from John Williams and it is interesting to hear the composer at 85 tackle the modern thriller scoring techniques and see how he manages to inject some of his own personality into them. But on the other side there is no denying that the composer is also heavily relying on his old bag of tricks here as there is a strong sense of familiarity to lot of the music, especially the noble and stately Americana that permeates the finale. 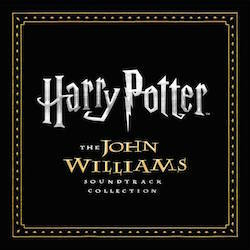 And on disc the music apart from a few more dramatically charged pieces at the start of the album doesn’t come together as a truly satisfying experience which I think is somewhat surprising in a John Williams score. 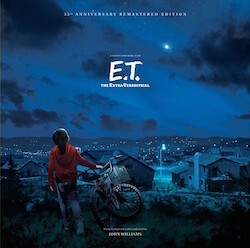 Thus, even though the score of The Post is technically accomplished and contains few glimmers of greatness, overall it feels like this soundtrack will end up among the inestimable maestro’s minor efforts in the canon of the Spielberg/Williams collaborations. Listen to samples and purchase at Amazon.com.